Working on a slipcovering project this past weekend. 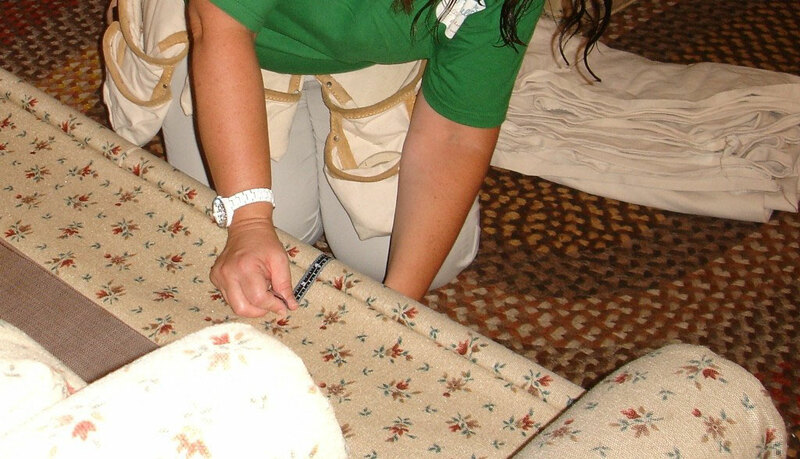 The project starts by measuring the sofa and cutting the fabric sections. The fabric is pinned on the sofa (inside out) to get that perfect fit. 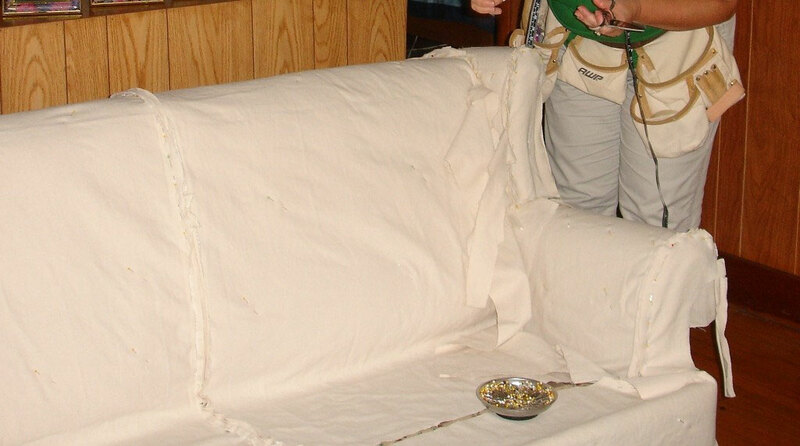 We're updating a 20 year old sleeper sofa with a modern, off white denim cover. 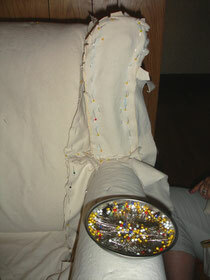 Once all of the pinning is completed, the cover is removed from the couch and will go back to the workroom to be sewed.